Do Not Remove. This h1 is for SEO and is only visible when editing this page. Through our extensive network and specialized services, we help connect the dots between you and where God is inviting you to invest in the next generation. 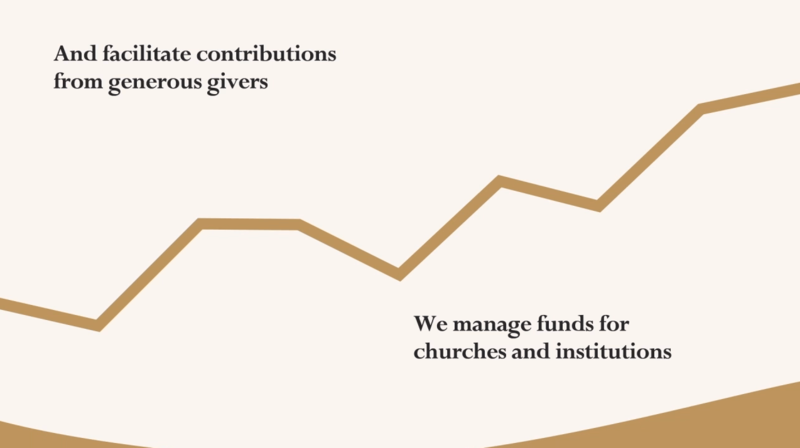 We serve churches by managing funds with a moral conscience, toward quality returns, for the strengthening of ministry outcomes. The beauty of being uniquely designed by The Creator is that we all have individual talents, gifts, and passions. God has shaped each one of us to enjoy, pursue, and invest in many areas of interest. This is one thing that gives us a sense of wonder and joy as we experience the world, and for which we can glorify the Lord.